Professional tile and grout cleaning is the best way to make sure your tile and grout looks beautiful longer as well as deep cleans below the surface. 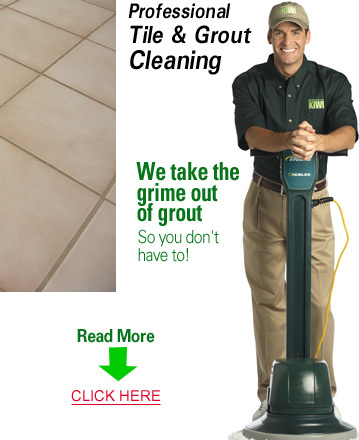 Picking the right tile and grout cleaning company to clean your floors is an important part of your cleaning. KIWI Services in El Lago has 30 years of experience cleaning tile and grout and we have over half a million happy customers. If you are looking for the best tile and grout cleaning company in El Lago then look no further than KIWI. When KIWI comes to clean your tile and grout we send out the professionally trained technicians that are dedicated to getting your tile and grout looking beautiful. Our technicians are equipped with state of the art tile and grout cleaning equipment that ensures your tile and grout will look amazing after we are done. Our solutions are environmentally and family friendly meaning you will never have to breathe in harsh chemicals will our technicians clean. With all of these things plus the grout sealant that can be added on to your cleaning, it’s no wonder KIWI is considered a company dedicated to excellence. At KIWI, we always put our customers first. Our customer service representatives are happy to assist you in any way they can. KIWI also offers a 30-day clean guarantee on all of our tile and grout cleaning services. If you should run into any issues, give us a call and we will perform a complimentary re-cleaning.